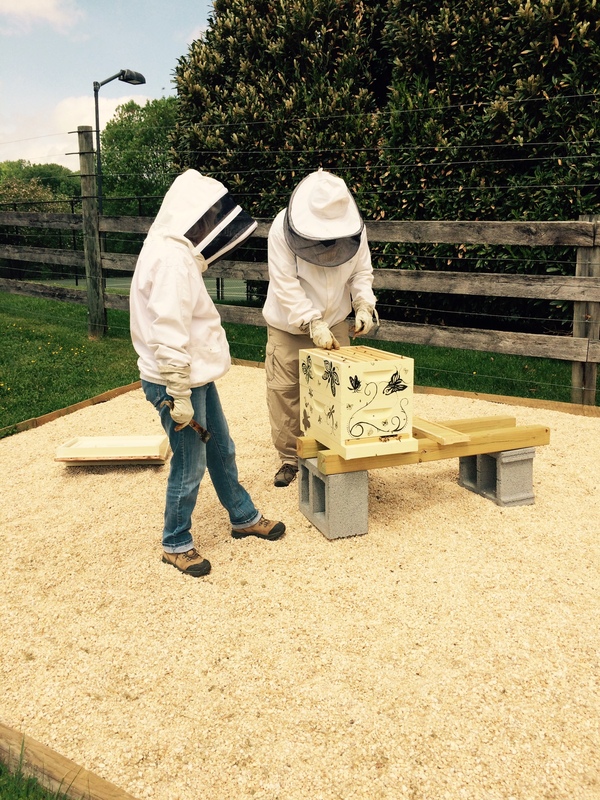 The bees have arrived! 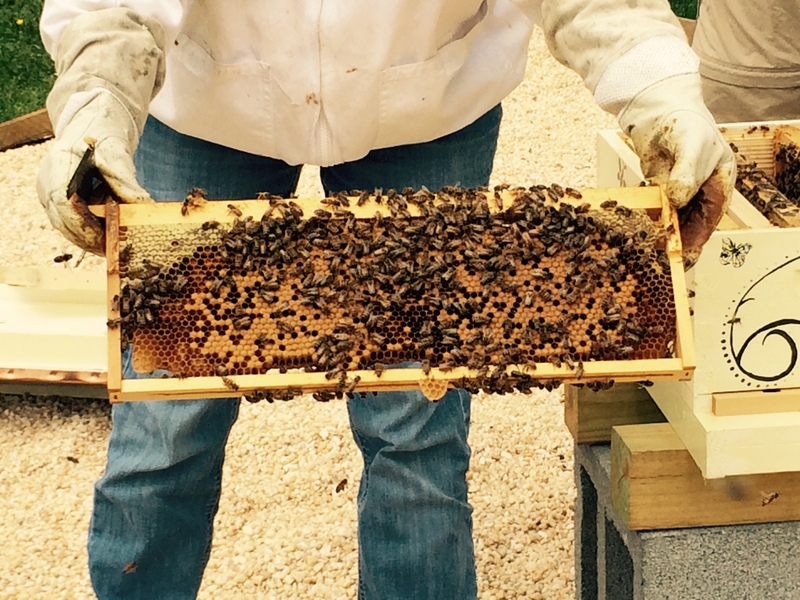 We were fortunate to find 2 overwintered nuc’s (colonies that have survived one winter already) which will hopefully be strong enough to produce honey this Summer. 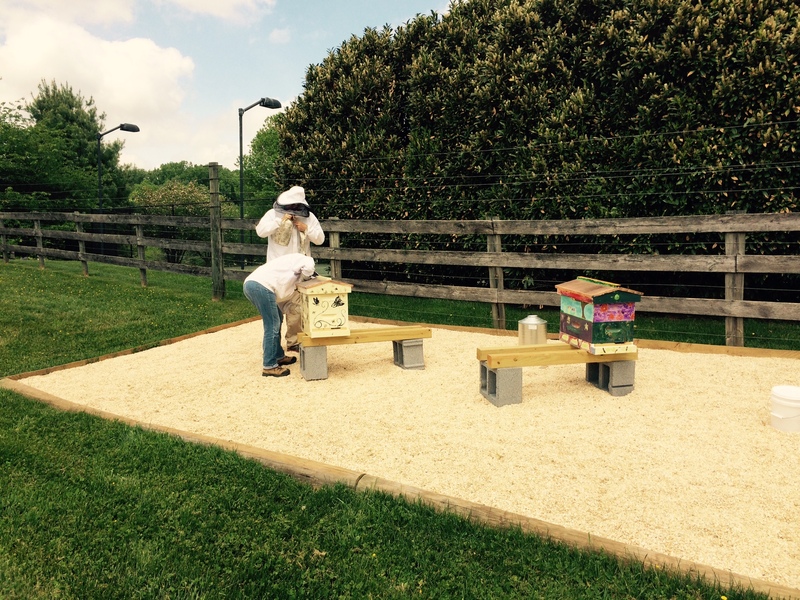 My bee mentors posed for pictures and inspected the hives. 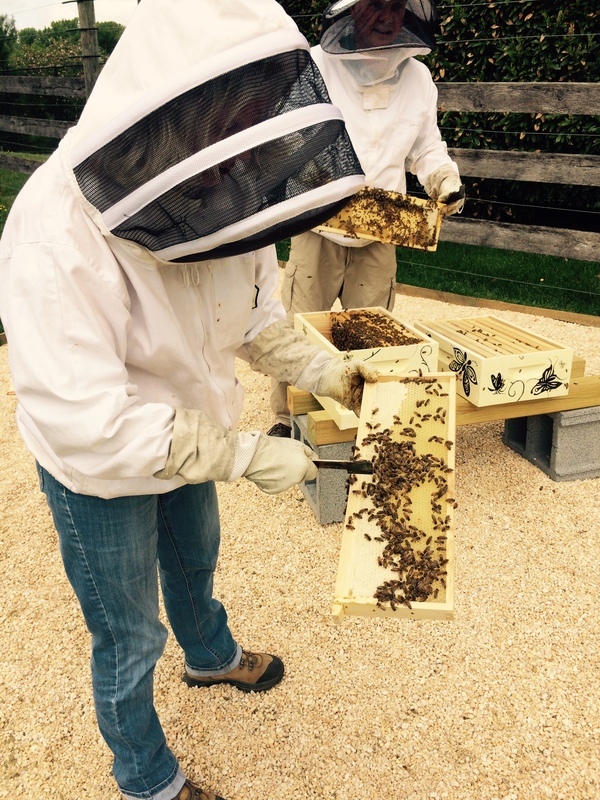 The hives are surrounded by a bed of pea gravel both for aesthetic purposes and the safety of the lawn mowing team. They are supported by 2 cinder blocks with two 2×4’s running across the top. The boxes are quite heavy even before the bees have filled them with honey, so I don’t think they are at risk of blowing over. 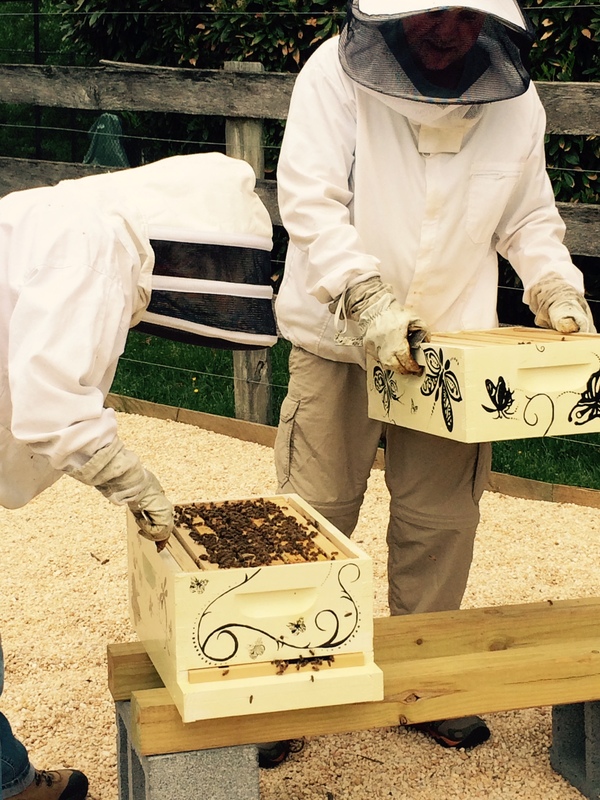 The exact location of the hives was chosen with great care. In order for the bees to survive the cold and windy Winters the East Coast has been experiencing, we gave them a Southern exposure so they would have the heat of the sun through the Winter. Previous Painting Bee Hives Next How do bee’s “see” flowers?